Alibaba Has Created 30 Million Jobs in China and Still Thinks It Could Create 1 Million in the U.S.
Alibaba (BABA - Get Report) co-founder and executive chairman Jack Ma made a big promise to President Trump and Americans back in January: to create 1 million jobs in the U.S. in five years. 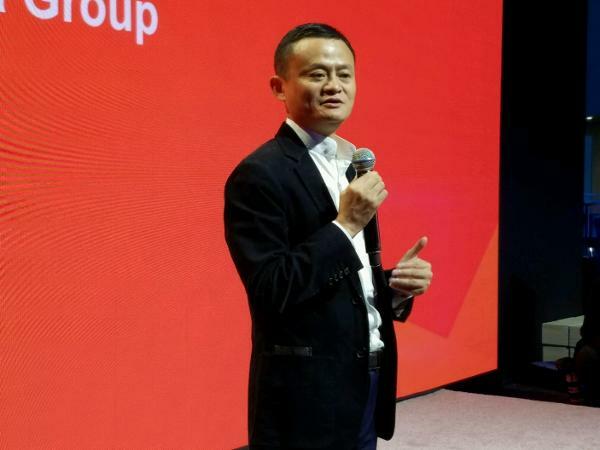 On Tuesday, Ma elaborated on that promise at Gateway '17, Alibaba's two-day conference being held in Detroit to help entrepreneurs, small businesses and farmers learn about the Chinese economy and how to sell their goods on Alibaba. "We've been [creating jobs] in the past 18 years," Ma said passionately during a Q&A session with the media at the conference on Tuesday. Ma recalled former Governor of California Arnold Schwarzenegger, who served two terms from 2003 to 2011, thanking him and Alibaba for creating 20,000 jobs in California. "Now we have a lot of experience and can do better," Ma said. "This conference in Detroit is Alibaba saying we're officially starting to work toward our goal of creating one million jobs in the U.S.," Ma said. Alibaba says it creates jobs by getting small and medium-sized enterprises (SMEs) to sign up with its platforms. When SMEs start selling through Alibaba's businesses, the SMEs are believed to start hiring more people to deal with the increase in sales. The tech giant's president Michael Evans told TheStreet Alibaba can follow through on this goal because it's already created 30 million jobs in China, based on a report from Boston Consulting Group. "We think its ambitious, but we think it's an achievable goal," he said. After 18 years in China, Alibaba has almost 11 million SMEs on its platform and has created 30 million jobs, Evans said. "Those were created by SMEs actually growing, being online instead of just selling their products in their local community," he explained. "We don't believe that it should be materially different for U.S. SMEs that come onto our platform." In the future, a big part of Alibaba's globalization strategy is to allow U.S. SMEs to eventually start selling to other Asian markets outside of China, Evans noted. "Jack's long term vision is to connect millions of these SMEs to new consumer markets," he said. During the Q&A on Tuesday, Ma also noted that Alibaba is more interested in selling global small businesses on China, rather than selling Alibaba products to America. Alibaba isn't concerned about how big its brand is because the main concern is how the businesses on its platform are performing and whether customers are happy. "We're not interested in whether Alibaba has a big brand," Ma said. "We hope that the small businesses, through the Internet, that they have a big brand."